Let’s talk about keeping a great friendship alive. It doesn’t take a lot, even though sometimes it may seem like it does. 1. You’re not a perfect friend. When you feel like you’ve been let down or disappointed by someone who you thought would never fail you, remember that friendship is a relationship between two imperfect people—and you are one of them. You will need grace on occasion, as will they, so give it. 2. Opposing views are a wonderful thing. So one of you is a Republican and the other a Democrat. One argues the benefits of building a career, the other holds to making a life on the homefront. The wonderful thing about friendship is the diversity it can bring. There are very few ideals that are wholly perfect. The opportunity to view life from a different perspective is a gift, not the basis for an argument. 3. Embrace one another’s strengths. Your friend has talents and abilities you don’t—appreciate them! You can wield a drill and she can cook a mean apple pie. Friendship is not a competition but a blending of gifts and talents as we walk with one another through life. 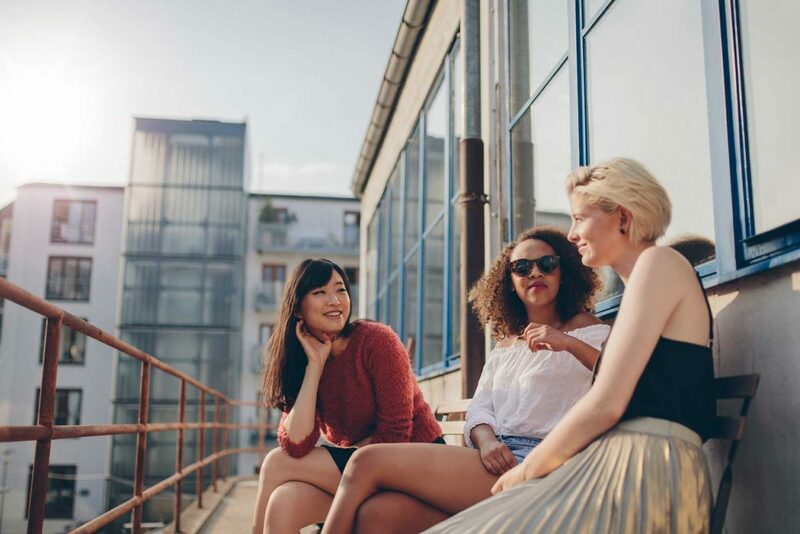 Here are 5 things to remember for every friendship you want to hold onto. Keep it simple and take it easy on them. 4. Remember the good times. When you’re irritated at her or she’s irritated at you, remember the reason you were friends to begin with. It reminds you that it’s worth the effort. Put aside the tension and go do something fun. Share a crazy outdoor adventure, hit the movie theater to partake in a must-see romantic comedy, or play a rousing game of whatever floats your boat. A step off reality to just enjoy life will reignite any friendship. Friendship matters and is worth the effort. It really does require a bit of grit to keep it going and a whole bunch of grace. At the end of it all, just take it easy on your friends because you can be sure the day will come when you’ll need them to do the same for you! Be sure to check out Take it Easy—On Yourself and Take it Easy—On Your Man! Don’t miss our recent podcast episode, Great Friends: 9 Qualities to Be One and Find One – 031! You will also like Grace is Not Weakness; It Requires Strength, Just Because She’s Pretty, Doesn’t Mean You’re Not, Friendships When the Littles Rule, 5 Tips to Build Healthy Relationships and How Friendship Changes as an Adult.